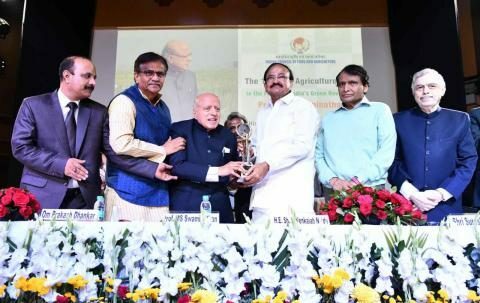 Chennai: Professor M S Swaminathan was awarded the 1st World Agriculture Prize at the 11th Global Agriculture Leadership Summit recently in New Delhi hosted by the Indian Council of Food and Agriculture. The award has been instituted by ICFA to recognize the contribution of eminent people who served the mankind though agriculture and allied services. While addressing the gathering after presenting the first World Agriculture Prize to Prof Swaminathan, the Vice President of India, Mr M Venkaiah Naidu called the eminent agricultural scientist a Vishwa Guru in agriculture, a teacher and a scholar who continues to leave his inspirational, ideational thought prints on the world. In his statement, Professor Swaminathan expressed his gratitude to ICFA for selecting him for the first World Agriculture Prize. “The financial amount associated with this prize will be used for creating fellowships at MS Swaminathan Research Foundation at the post-graduate level for women and men scientists first for the purpose of working on converting Goal 2 (“End hunger, achieve food security and improved nutrition and promote sustainable agriculture”) of UN Sustainable Development Goals into field-level accomplishments and to promote linkages among agriculture, nutrition and health through a Farming Systems for Nutrition (FSN) programme, among other priority areas.” he said, adding that FSN is designed to provide agricultural remedies for nutritional maladies. “The amount will be deposited in a long-term fixed deposit and the interest will be utilized to support the Fellows. 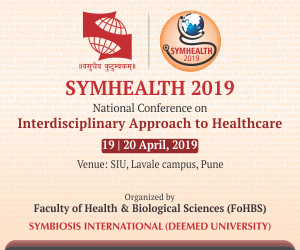 A suitable Management Committee will be established to provide the necessary scientific and management oversight,” Prof Swaminathan informed.